Losing a pet is always traumatic, no matter what age we are. Personally though, I believe it’s harder for those of us over 50. For starters, a lot of us are empty nesters. As much as I loved our wonderful dog, I remember how busy I was with my daughter when Noodles died. Rushing to Girl Guides and basketball occupied my thoughts and filled my heart. Distractions meant less time to dwell on it. In addition to emptier houses, older folks may be more socially isolated, retired and beyond the busy routine they once knew. Or, maybe they’ve lost a human friend, so losing a furry friend adds to the pain. Finally, I think we have a deeper appreciation for loyalty and true companionship after experiencing life lessons and having time to reflect on them. Most veterinary clinics give pet parents the option to stay with their pet for the entire process, just until the animal is asleep, or not stay at all. Adding a sedative before euthanasia costs extra (about $50), but as someone who just went through this, I believe it’s worth the expense. Some, like Crossroads, also offer at-home service, but require a pre-scheduled appointment to allow for the visit; at an additional fee. Costs for euthanasia range depending on the pet’s weight and the fee for cremation or remains disposal. “Some owners are more comforted by private cremation,” according to Dr. Solis. 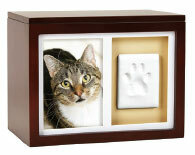 Vets can team up with the Humane Society (some fees stay behind to aid shelter animals) or a private company like Eternal Friends, who cremate one pet at a time and return their ashes in a memoriam tin. After a pet passes, you may even take them home for burial IF you live outside city limits. The city also provides burial services, for a fee. For me, having a paw print in plaster helped. Most reputable clinics offer this service. 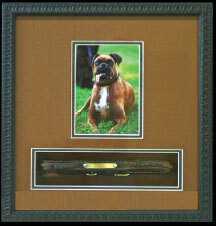 It’s also comforting to make a donation to Therapet Eldercare in memory of a beloved pet. This non-profit organization assists with pet health care for low-income seniors. 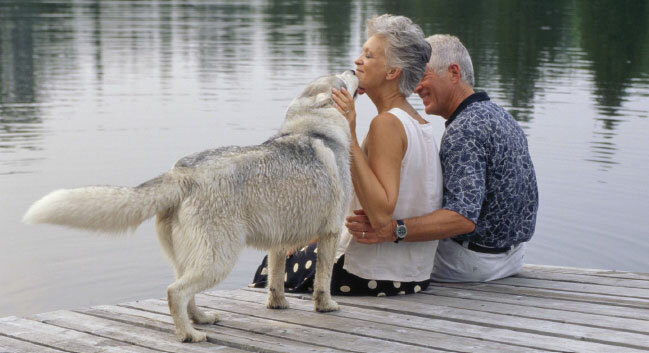 Many elders feel they shouldn’t get another pet due to their own age, but Dr. Solis encourages them to try a pet that’s past its prime because older adults have the time, patience, and love to care for aging animals. They can also consider fostering pets for a local rescue group. This helps a homeless pet and provides extra love and furry cuddles for a lonely person who can’t make a long term commitment.